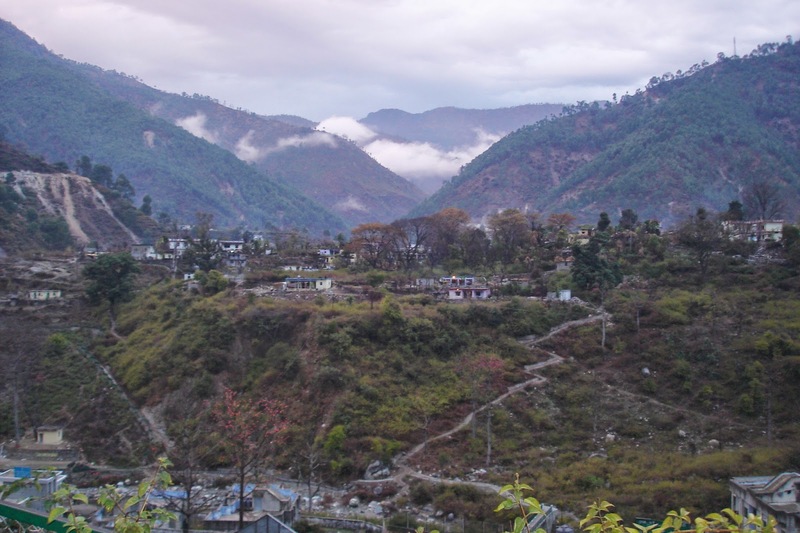 These are a few of the hills surrounding the town of Gauchar. A small village is visible, which is around 800 meters aways from the town, which can be accessed through the two climbing roads. This place is even more beautiful when rain starts pouring. It would be greener and denser and just below the zigzag road is a seasonal river so it will start to flow by then. Roads to farther villages are continually being constructed. Road construction is equal to forest destruction, that also leads to the destruction of homes of few animals left in these areas.